The easiest homemade vegetable broth that is filled with so much flavor and is quick to make! Make in an instant pot, slow cooker, or regular pot to make. 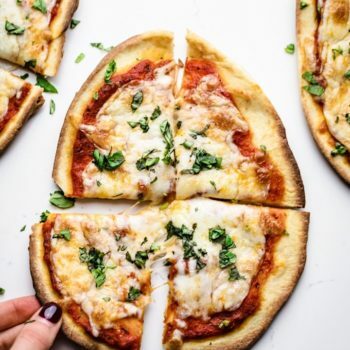 A great recipe to utilize extra vegetable scraps or frozen vegetables you need to use up. You’ll never use store-bought vegetable broth again after trying this recipe. Today is all about how to make homemade vegetable broth. 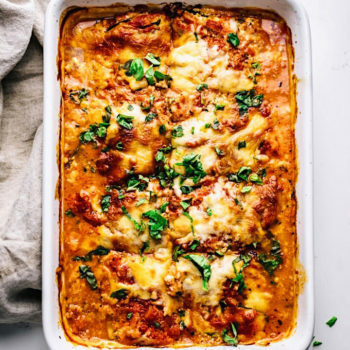 And I know one thing’s for sure – I am not the only one with veggies in my fridge that need to be used up before they expire. And this broth recipe is not only deeelicious, but perfect for utilizing vegetables that need to exit your fridge. Once you make this recipe you’ll realize how easy to is to make homemade broth and never ever go back. All you need are a handful of simple vegetables, herbs (dried or fresh), and water. Make it fast in an instant pot, or cook low and slow in a slow cooker or stovetop pot. Use this recipe in your favorite soups or cooking recipes, or drink for an easy way to get tons of nutrients. Shall we get started?! First, fill your instant pot/slow cooker with all your ingredients – vegetables and herbs. Then add max amount of water needed to fit into your slow cooker – I used 11 cups of water. Turn pressure cooker setting on 30 minutes or use your slow cooker setting on HIGH for 2 hours or LOW for 5 hours. Last, set up a pot with a strainer over it. Carefully pour vegetables into strainer and fill pot with broth. Season with salt to taste if needed. Broth’s are great recipes to make with any vegetable scraps that you have. A great way to keep ave vegetable ends that you wouldn’t use in salads ect, like carrot heads, peelings, ends of celery, or celery leaf’s. You can add these to whole vegetables in broth or make your broth completely with vegetable scraps if you have enough. Depending on how big your slow cooker or instant pot is will depend on how much broth you can make. This is the multicolor I used for this recipe. Adjust water measurement as needed. Save celery leaves and freeze in a ziplock bag. The leaf of celery is packed with flavor and can be used just like an herb in this broth. 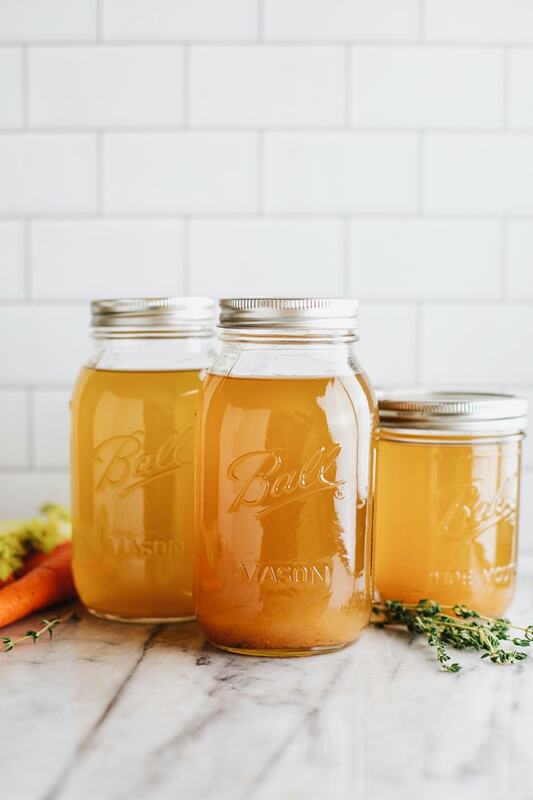 How to store vegetable broth: let broth cool to room temperature and seal in mason jars to store in refrigerator. For freezing, store in ziplock bags. Use this broth recipe in my Tuscan White Bean Soup or Healthy Vegetarian Tortilla Soup. 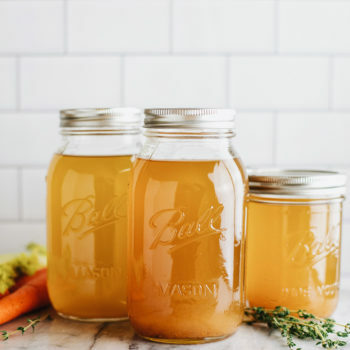 The easiest homemade vegetable broth that is filled with so much flavor and is quick to make! Make in an instant pot, slow cooker, or regular pot to make. A great recipe to utilize extra vegetable scraps or frozen vegetables you need to use up. You'll never use store-bought vegetable broth again after trying this recipe. Chop vegetables roughly. 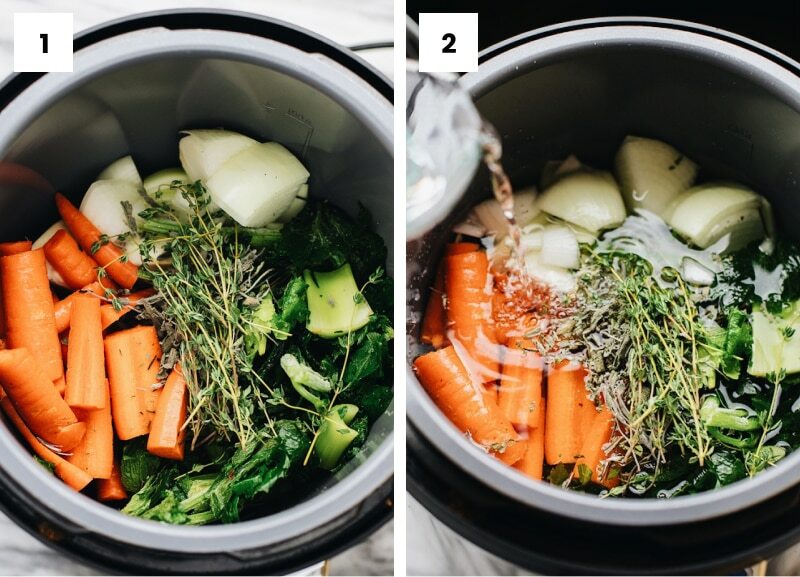 In a slow cooker/instant pot - add all vegetables, herbs, and water. See notes for water amount - this will depend on how much your pot can hold. Pressure cooker: Set on HIGH for 30 minutes then steam. Slow cooker: Set on HIGH for 2 hours or LOW for 5+ hours. 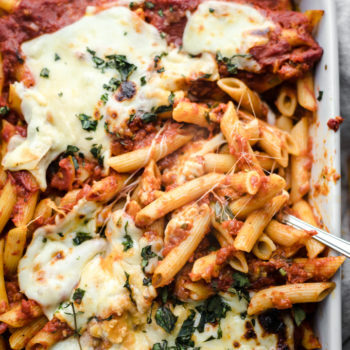 Stovetop: Simmer for 1 or more hours. When broth is done, set up a strainer in a large pot. Pour vegetables and broth into strainer to drain broth. 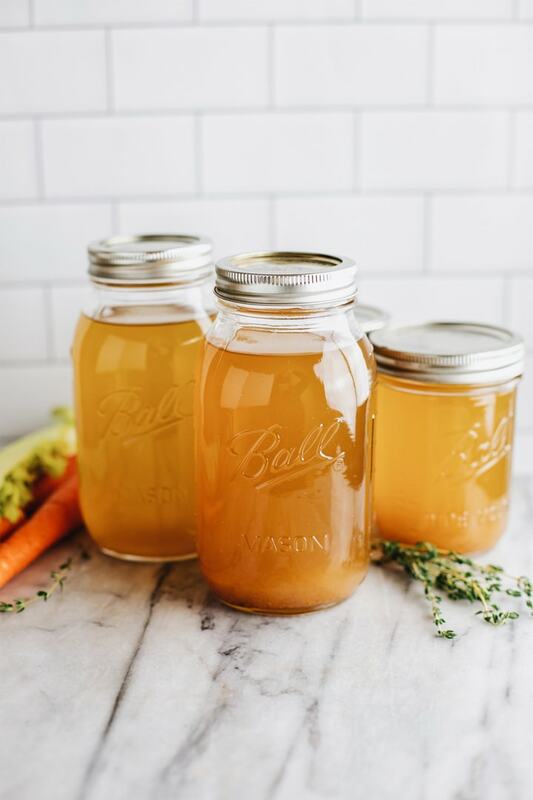 Let broth come to room temperature - store in the refrigerator in mason jars or freeze in ziplock bags.